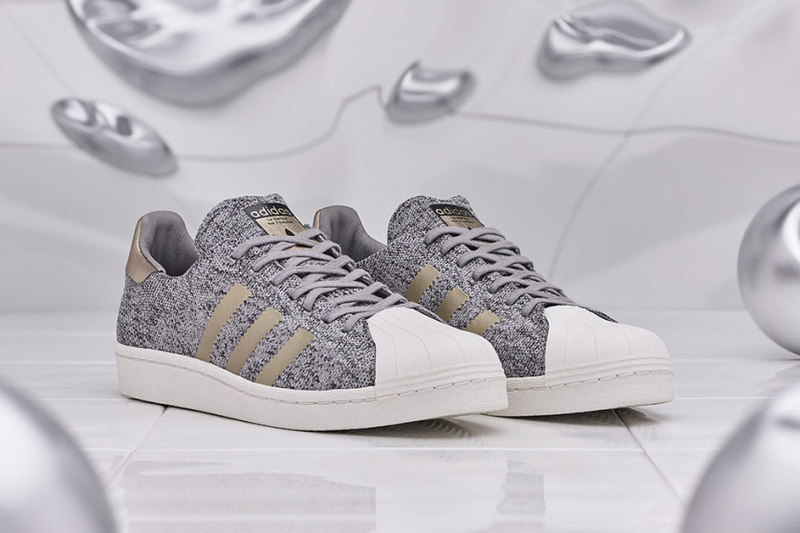 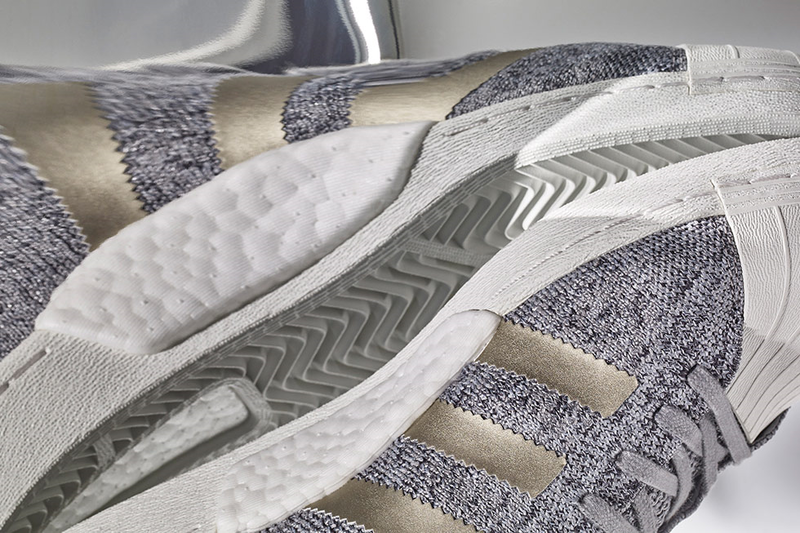 adidas Originals take inspiration from the world of luxury noble metals for a brand new iteration of the Superstar BOOST silhouette, creating a platinum-hued take on the contemporary-classic model. Blending modern innovation with timeless design, the Superstar BOOST features a concealed BOOST unit throughout the midsole, concealed by the shoe’s original rubber tooling, revealed only by a window on the medial side. 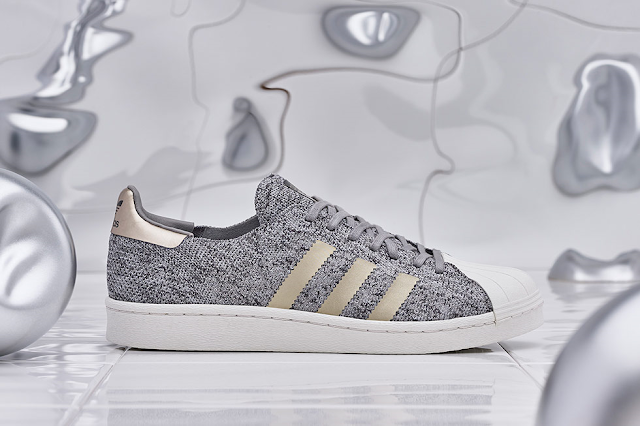 Finished with metallic laces and a genuine platinum tongue label, the result is a clean, tonal take on a shoe that encapsulates the blend of heritage, progression and creativity that embodies adidas Originals. The adidas Originals Superstar Boost ‘Noble Metal’ drop on Friday, 10 March 2017, at selected retailers.